January 14, 2019Waltham Forest, London’s First Borough of Culture: Can creative status revive our cities? Part of the Into the Forest video film created by Greenaway & Greenaway with Talvin Singh projected on Waltham Forest town hall in Walthamstow on January 2019. Photo by Matt Alexander. This weekend Waltham Forest in North East London became our first ever Borough of Culture, but is yet another competition for cultural status truly a chance for creative freedom? January is usually a subdued month but last weekend, North East London was injected with a vibrant burst of energy as Waltham Forest embarked on its year as London’s first Borough of Culture. The opening event, Welcome to the Forest (11 – 13 January) promised to transform the post-war Town Hall with projections by artists Greenaway & Greenaway to a live soundtrack by the Leytonstone-born, Mercury prize-winning musician, Talvin Singh. Forest Road became a neon-lit winter carnival and Lloyd Park hosted a light installation by Marshmallow Laser Feast in collaboration with 1,000 adults and children from local schools and choirs. 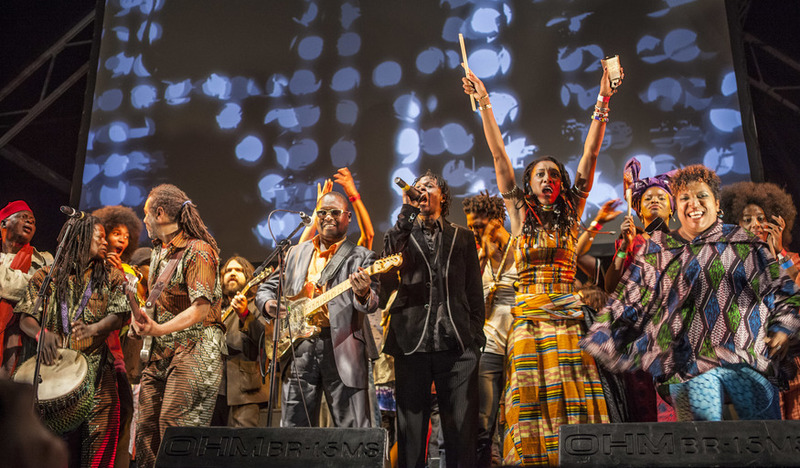 The bold opening event rolls into a whole year of cultural projects embracing the history of the borough including a performance from Damon Albarn with Africa Express and a major exhibition marking the centenary of the Bauhaus art school. The idea of a London Borough of Culture stems from the success of European Capital of Culture, which famously transformed Glasgow and Liverpool and more recently, the launch of UK city of culture, won by Derry~Londonderry (2013), Hull (2017) and Coventry for 2021. But, in a city as multi-cultural and bustling with opportunities as London, is another competition for boosted artistic status truly a chance for creative freedom or simply a fleeting fanfare? Explaining the motivation for the programme, The Mayor of London Sadiq Khan has said, “Culture is in the DNA of our city …. But for a variety of reasons many do not experience some of the joys we have in Londonwhether it’s the theatre, live gigs, museums or galleries. That is why we have to democratise culture and arts much more”.Waltham Forest will be the first borough to receive at least £1.3m funding and backing from leading organisations like The Royal Ballet and the O2. Brent, Borough of Culture 2020, revealed that none of the young people who worked with the council on their bid had been to a Tate gallery and none had heard of the National Theatre. With Brexit looming, the European Capital of Culture title which gave Glasgow its Royal Concert Hall and brought the Superlambananas to Liverpool, is unlikely to be awarded to any other UK city. 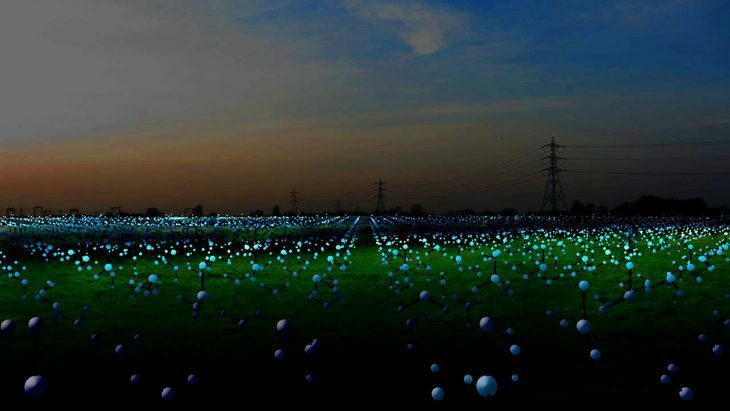 Molecules on the Marshes, Zarah Hussain. 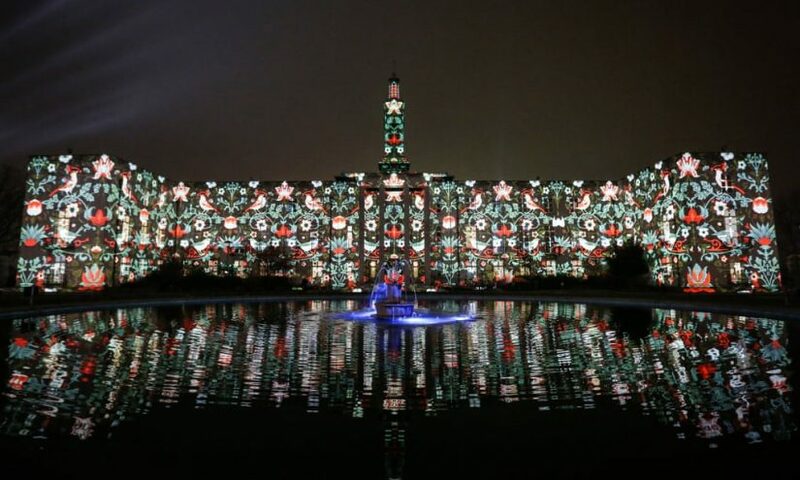 Waltham Forest as part of The Borough of Culture celebrations. Location to be confirmed. October - November 2019. Artistic Rendering. In 2008 for Liverpool’s year as European Capital of Culture,7,000 events, 15 million spectators and a boost of £800 million to the economy dramatically reshaped the image of the city. 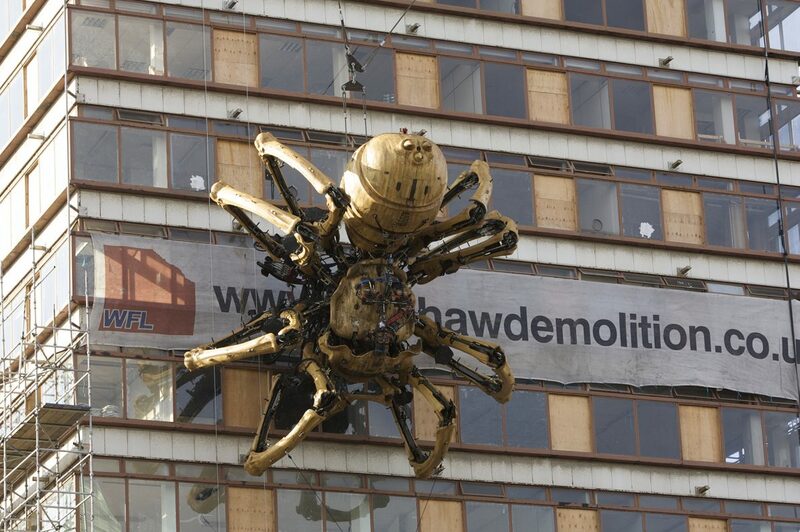 Among these events was a colossal 50ft spider, La Princesse, that emerged tantalizingly leg by giant mechanical leg, to crawl down the side of the Concourse Tower. 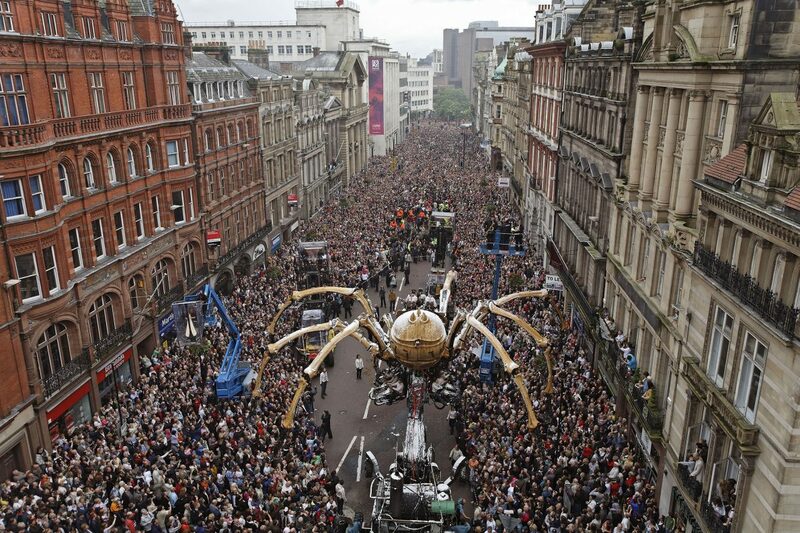 Designed and operated by the Nantes-based production company, La Machine, and produced by Artichoke, La Princesse brought 250,000 people out to the streets of Liverpool, despite the cold and rainy weather. “We were children again” said Ken, who was there among the masses. The popularity of the spider’s 5-day adventure through the city streets, from the Echo Arena to the Albert Docks, showed the amazingly revitalising possibilities of cultural investment and supported the belief that “for the UK to survive it needs to be less London-centric”. Princesse, La Machine, Liverpool as part of the European Capital of Culture celebrations, August 2008. Photo by Matthew Andrews. Inevitably, the huge build up and surge in activity for programmes like this often also means a sharp post-party fall back to reality as tourism figures drop after the year of culture is up. Most recently last December, a group of MPs called for a UK ‘town of culture’ award, an idea which was criticised by some as a frenzy of self-celebration amid Brexit anxiety. As cultural cities fragment into cultural boroughs and towns, does the practice of funnelling attention onto a single destination for one year still have a real positive impact? The social and economic effects of Cities of Culture are often inflated far beyond their power, but it’s clear that the events and projects which happen directly as a result of this funding create a real thirst for more cultural ventures beyond the title year and when executed skilfully, positively impact the local community. Princesse, La Machine, Liverpool as part of the European Capital of Culture celebrations, August 2018. Photo by Paul Herrmann. In Hull, Culture Company, the team responsible for delivering City of Culture 2017 has been recommissioned to support change in the city. Over the next 20 years they will focus on the 16,000 children aged up to five years old growing up in Hull. The legacy of being a City, Borough or Capital of Culture goes far beyond tourism and international profile; at its best it offers the possibility of a sustainable and meaningful cultural future. Starting this weekend, we’re ready to escape central London for the Forest, home to our first ever London Borough of Culture.